The Internet is “just a fad!” That was the general public perception way back when we were getting acquainted with it. Fast forward approximately 20 years and almost everything runs through the Internet. People-to-people, people-to-machines and even machines-to-machines; this holistic concept is popularly known as the Internet Of Things (IOT). Along with people, countless companies did not heed the signs of this new paradigm shift and had to suffer the consequences. Many giant corporations of the 80’s and 90’s no longer exist today because they refused to evolve with the times. Marketing in the digital age brings forth a whole new set of challenges similar to running a business. Your brand image is everything and the free publicity on social media means your brand can constantly be monitored. For an E-Commerce business this is even more relevant as its success or failure depends on the online strategies it implements. 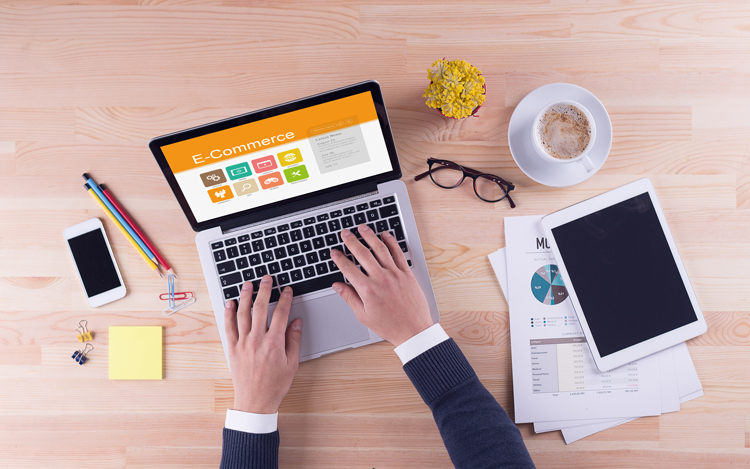 It might seem like the most obvious thing, but buying and selling for an e-commerce business is done primarily through its website. The Internet is the core market place where products will be catalogued, priced, marketed and finally sold. The importance of a functioning as well as an aesthetically sound website cannot be stressed enough. Customised slider for viewing product catalogues. Although mentioned above, mobile optimisation is a factor which is highly relevant and requires proper explanation. Nearly 60% of online searches are conducted through mobile phones, this means that business websites must be optimised for mobile phones and tablets. Gone are the days when a desktop computer was the only way to surf the Internet. These days, everything happens in real-time, including a search for products and often purchasing on-the-go as well. The mobile generation has certain traits which include making snappy decisions, so the mobile version of an e-commerce website must accommodate for shorter attention spans and faster call-to-actions (CTAs). Another key factor for mobile optimisation is scroll ability. On desktop it is fine to have long scrolls but on mobile, users prefer to view important information in the first scroll. How much money to spend on a good corporate logo has been an ongoing debate in the marketing world. Sometimes companies with astronomical budgets overspend just because they can. On the other hand, Nike’s iconic “swoosh” cost the company just $35! Even though it was way back in 1971, it does serve a point. In this digital age, most of the companies’ communications are sent online, and your logo and branding are present on just about everything. In light of the recent gaffe by United Airlines, it has become even more important to highlight the importance of an excellent social media and PR team. As one can imagine, reputations can be made and destroyed with a single video in the digital age. That is why an e-commerce business must be active on all relevant social media platforms. With this strategy, even seemingly ordinary businesses can craft a creative and engaging social atmosphere for themselves, ultimately making it easier to talk to and attract potential customers. Similarly, using the “boost” option on social media platforms can really give the business a promotional edge as it is cheaper than many other forms of advertising. In accordance with the aforementioned mobile statistics, having a custom android or iOS mobile application developed for the business makes the entire e-commerce process even more streamlined. Currently, there is a mobile app for just about everything. A mobile app is a business’ gateway to more personalised customer interaction. Needless to say, the Internet is here to stay. More and more companies are moving away from traditional business practices to a more virtual presence. If an e-commerce or any business generally wants to solidify its position in the market, the above-mentioned digital strategies are a sure-fire way to create a thriving environment which will allow it to stay competitive and get a step-up on competitors who might not have access to such insights. Sohail Rupani is a senior SEO strategist at PNC Digital, a digital marketing agency based in Orlando. He specialises in SEO and SEM techniques. He is passionate about technology and loves to analyse the tech industry in his spare time and stay in touch with the latest happenings. He also writes technical articles about SEO and digital marketing.